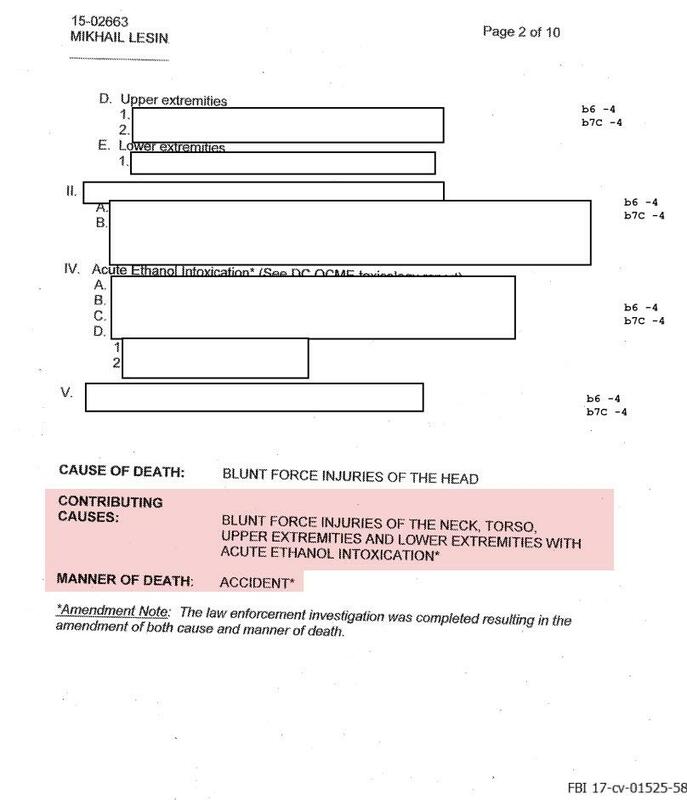 Essentially, all other information in regards to the findings of Lesin’s death has been scrubbed from the documents as the remaining pages are almost entirely redacted. Not only did the US remain tight-lipped on the investigation but they also refused to allow Russian authorities to cooperate. As RT reports, back in 2016, months before the closing of the case, Moscow said it was expecting Washington to explain why Russia had not received any details from the probe into Lesin’s death, despite repeated requests. In October 2016, the US authorities announced that Lesin died of natural causes and closed the case. “Based on the evidence, including video footage and witness interviews, Mr. Lesin entered his hotel room on the morning of Wednesday, Nov. 4, 2015, after days of excessive consumption of alcohol and sustained the injuries that resulted in his death while alone in his hotel room,” the US attorney for the District of Columbia said in a statement. Lesin’s death came at a time where he was surrounded by controversy, especially in the US. RT, the Russian-based news source that Lesin founded has become very controversial in the US—ostensibly for the fake Russiagate scandal—but in reality, for challenging the western narrative of foreign policy and privacy issues. Some US politicians have suggested that RT be banned in the US for “spreading propaganda,” while others have been blatant enough to attack Lesin personally. Some US Senators, including Roger Wicker of Mississippi, had called for the Department of Justice to open an investigation into Lesin’s finances prior to his death. 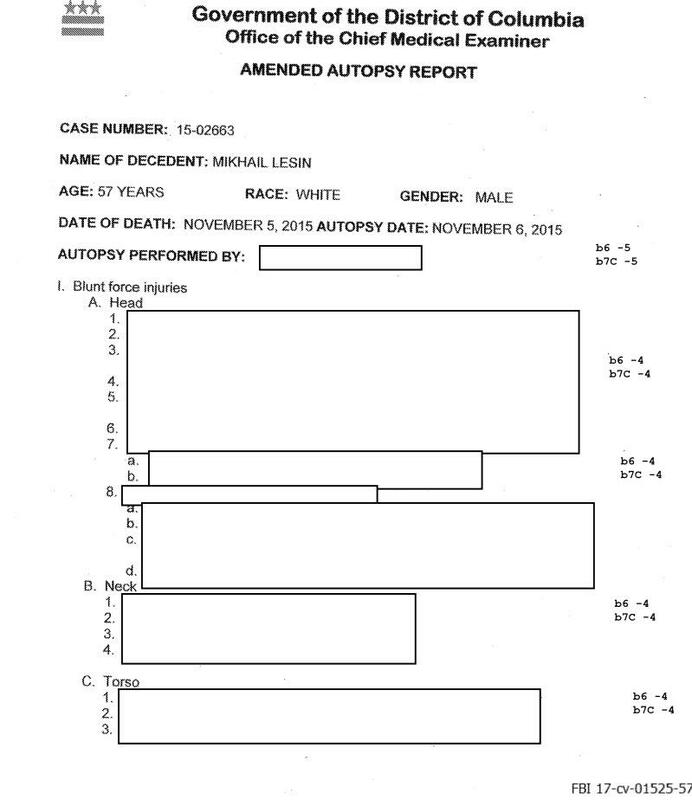 The original announcement of the heart attack back in November 2015 makes this case all the more ominous considering the fact that the medical examiner’s office also said Lesin’s body had blunt force trauma to the neck, torso, arms and legs too. How did authorities overlook his wounds? As RT reports, Lesin was considered one of the most influential figures in the Russian media landscape. A graduate of Moscow State University with a degree in Civil Engineering, he served as Minister of Press and Mass Media from 1999 to 2004. He was also a presidential media adviser from 2004 to 2009. Lesin became chief executive officer at Garprom-Media in 2013 and remained in the position until early 2015.